Years ago, all you needed for a top-listed website was a great URL and loads of content. If you wanted to create a high-ranking cooking website and you happened to snag the URL www.whatsfordinner.com, you didn’t have to worry much about pesky things like Internet traffic. Fast forward to 2016, however, and search ranking is all about the numbers, keywords, and Google’s interpretation of how well your business is doing—which can make it hard to rise in the ranks. To evaluate the quality, and ultimately the rank, of your website, Google uses complex algorithms to figure out where you should land. Their web crawlers inspect a wide range of different features about your website, including keywords, HTML tags, titles, and most importantly, your website’s sitemap. Unfortunately, even people who cracked the code on Google rankings a few years ago may find their site dead in the water these days. New updates to the Google algorithm are designed to spot things like duplicate content that isn’t useful to readers, bland meta descriptions, and much, much more. Because all of this Internet mumbo-jumbo can be difficult for business owners to decode, especially since they are likely focusing on, well, running a business, many companies turn to SEO in Utah to improve their search listings. SEO businesses specialize in understanding the latest Google and other search engine updates in order to optimize your site and improve its ranking. Unfortunately, the ever-changing algorithm keeps SEO businesses on their toes. You would think that a business as vast and influential as Google would come right out and warn businesses before they go changing up their algorithm, but that just doesn’t happen. Because their goal is to improve the relevancy of what users see, the changes Google makes are often complete surprises—which can leave businesses and SEO companies scrambling to figure out what just happened. Fortunately, some businesses monitor the “traffic” of the Google algorithm to make it easier to tell when something might be happening, and word on the street is that something went down on September 3rd, 2016. Industry experts noticed a giant spike in Google algorithm activity, and shortly after the change was made, Google acknowledged that they did, in fact, make some pretty significant changes to their search engine formula. One big change that users started to notice on September 3rd was the way that Google was displaying local pack results. Traditionally, when you searched for a business or keyword, Google displayed seven local businesses that might be relevant to your query, along with their address, phone number, and directions to their storefront. This old model was known as the Google “7 pack,” but recently, those seven results were slashed to three. The new Google “3 pack” only displays the top three local hits for any search query, which means that businesses that come in fourth might suffer significant drops in traffic. Most SEO experts chalk up this recent pack change to Google’s plan to eliminate spammy search results from the web, offering users three results instead of seven to sift through when looking for a local business. If your ranking has suffered because of this change, industry experts suggest registering your business with Google and optimizing your site for the user. Another big change that users noticed as of September 3rd was sweeping changes to the order of search rankings, probably due to a core search update performed by Google. Utah SEO experts noticed a huge change in ranking among all verticals, but the update doesn’t seem industry specific. Time and time again, Google has talked about the importance of quality in regards to maintaining your search ranking. As time goes on, they find more and more ways to distinguish helpful, relevant content. As they say in the industry, “content is king,” and there is really no way around it. Experts recommend filling your website with valid, helpful content, using great sources for information, and keeping your website up-to-date by working with SEO professionals. 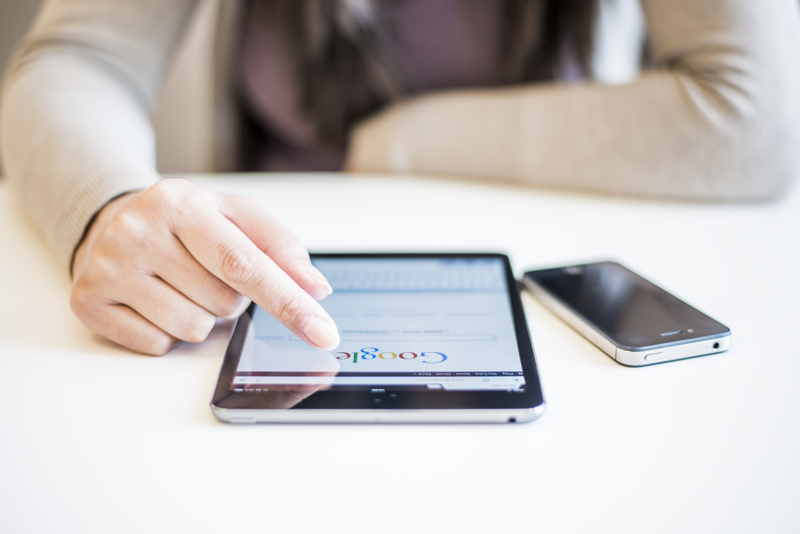 By making your website a priority and rolling with the Google changes, you can keep your business on top.